Karol Szymanowski’s journeys to the Mediterranean before World War I wrought a cataclysmic change in both his artistic and his emotional life. After the German influences of his early, European period, Szymanowski was suddenly liberated by the light, life and freedom of Sicily and North Africa. He felt as if he had finally found a world where both he and his music belonged. In the long isolation thereafter on his Ukrainian estate, forced on him by war and revolution, his memories and fantasies of this lost world drew from him the great music of his middle period, including his masterpiece, the opera Król Roger. And this last work turns on the exact emotional axis which divided the composer himself, the tension between intellect and instinct, control and chaos, mind and body – the age-old opposition of Apollo and Dionysus. In ancient Greece these two gods were brothers, sons of the great Zeus. Apollo was the god of calm, serene rationality, the representative of reasoned self-control and cool logic. His opposite was his brother Dionysus, the god of irrational instinct, of emotion, of intuitive desire, of abandonment and chaos. For the Greeks, the irreconcilable contradictions of these two perspectives lay at the root of all human tragedy. 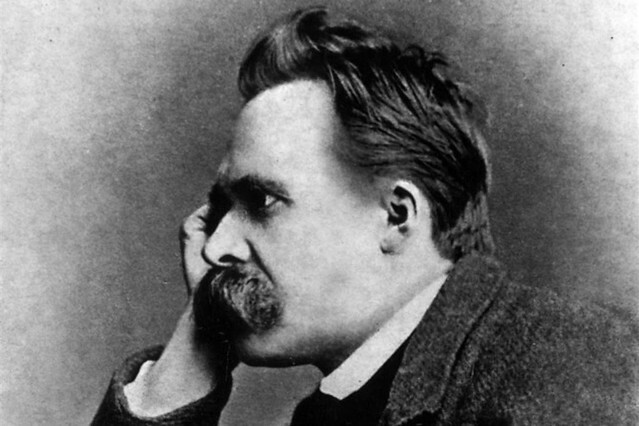 In the modern era, the German philosopher Friedrich Nietzsche had drawn on the distinction of the Apollonian and the Dionysian in his 1872 book The Birth of Tragedy. He argued that drama is driven by powerful contradictory artistic impulses (Kunsttriebe) resulting from the opposition and collision of mankind’s rational and chaotic aspects. We attempt to use our analytical intellect to make sense of the world in which we find ourselves, but we are always at the mercy of hidden, unconscious drives that we are unable to control without distorting the whole of our personalities. Szymanowski and his librettist Jarosław Iwaszkiewicz took Nietzsche’s ideas to create King Roger, a figure torn by the tension between his Apollonian intellect and culture and his secret, untamed Dionysian instincts. Their original plan was to give the narrative of The Bacchae a more positive outcome: the Apollonian King Roger would be gradually won over by the Dionysian Shepherd and eventually leave with him and his followers to pursue a happy, instinctive, vagabond existence. Roger needs the Shepherd to fill the emotional void in his soul, the cold formality of his marriage. And Roger’s acceptance, inspired by his queen, Roxana, would then be a resolution of his true self. But halfway through the composition process Szymanowski changed his mind about this ending. We do not know why, but it may have been that the traumatic chaos surrounding the Russian Revolution and its bloody aftermath (in which his family estate was burned down by a mob and his two precious grand pianos thrown into the lake) caused Szymanowski to rethink his unqualified commitment to the joys of chaos, or perhaps to see that unlimited freedom at a personal level might have unpalatable counterparts or consequences on a political scale. Perhaps he sensed, even ahead of the events of the 1930s, where uncontrolled Dionysian behaviour might consciously or unconsciously lead. So Szymanowski rewrote the third act of Król Roger, without his librettist, and gave it the ending – ambiguous both musically and dramatically – that we have today. The Shepherd is revealed as an incarnation of Dionysus, but when he leaves, Roger does not go with him. ‘The chain of illusions breaks!’ declares the adviser Edrisi – but whose illusions have broken, Roger’s or the Shepherd’s? And when Roger sings his final brief aria to the sun, after so much irresolute chromatic music ending abruptly in a sudden C major chord, is this a re-commitment to his Apollonian ideals? Or a possible synthesis, beyond both Dionysus and Apollo? John Lloyd Davies is dramaturg for The Royal Opera’s production of Król Roger. This is an extract from John Lloyd Davies’s article ‘The Mirrored Other’ in The Royal Opera’s programme book, available during performances and from the ROH Shop. The choice of a shepherd as the key protagonist will not be coincidental. For Nietzsche, Christians are "the herd" who are misled by Priests, for whom he uses the term "shepherd" as a metaphor. This already sets up a tension with the idea that the shepherd represents the Dionysian urges: it is hard to square that drive which Nietzsche tells us is "best conveyed by the analogy of intoxication" with a religious leader role. Another major role for a shepherd comes in Thus Spake Zarathustra. That prophet comes across a shepherd who has half swallowed a snake. As I have argued elsewhere (p52, http://discovery.ucl.ac.uk/1421265/) the snake is a metaphor for the unpalatable Doctrine of Eternal Recurrence, acceptance of which in some sense allows one to transcend weak humanity and become the Übermensch. So this suggests that moving beyond Christianity by accepting the Doctrine, which involves creating one's own values, is what Nietzsche recommends. Such a transcendence could be what Szymanowski is suggesting in the final aria.